You've matured, but have your prayers? Has your understanding of prayer matured since you learned to pray at your mother's knee? Or, like many of us, do you continue to pray, year after year, as you were taught as a child? If your prayers are difficult or boring, your problem may not be so much failure of will (you do try to pray well) as lack of knowledge about how mature souls pray. Most of us have been doing it so long that we pray automatically without really thinking about it. The good news is that such problems are easily overcome! This remarkable book offers practical ways that you can improve your prayers today and grow closer to God. The best posture for prayer ... and more! "Guardini is a master of the spiritual life. It is a blessing to have his book on prayer available in English." "Long ago, Msgr. Guardini helped teach me how to pray. I still rely on his thought and I cannot recommend this book highly enough." "This book by a true man of prayer has helped me pray better. I am grateful for it." "You will find yourself instructed, illumined, and bidden to come further into the precincts where prayer is continually offered." 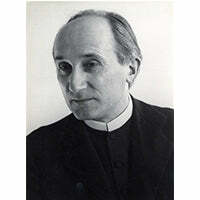 Romano Guardini (17 February 1885 - 1 October 1968) was an Italian-born German Catholic priest, author, and academic. He was one of the most important figures in Catholic intellectual life in the 20th century. Guardini's books were often powerful studies of traditional themes in the light of present-day challenges or examinations of current problems as approached from the Christian, and especially Catholic, tradition. He was able to get inside such different worldviews as those of Socrates, Plato, Augustine, Dante, Pascal, Kierkegaard and Nietzsche, and make sense of them for modern readers.